I was born in 1982 in Warsaw Poland, so in the pretty flat area of Europe. All my summer holidays I spent by the river to the north of Warsaw. I loved spending my time watching birds flying. There was a lot of air traffic too – planes, helicopters and even sailplanes passing over the roof of our house. Let's say I spent my childhood staring at the sky dreaming of flying like Peter Pan. When I saw the mountains for the first time – I mean not hills, mountains – I was 7 years old and I went totally crazy about them. It was the Polish Tatra. When I was 3.5 I asked my mum to sign me up for ice-skating classes. This is how my 9 years story with ice-skating started. I dreamt of getting to a sports school and compete. It didn't work out exactly the way I wanted, but I trained hard and was totally committed to this sport till I was 12. This is when I crashed during practice and injured my leg. This was quite the end of my "career". A year later I recovered and started playing tennis – just to move about a bit. I ended up training it for 4 years and started to compete when another accident, this time while skiing damaged my knee and I had very hard time running and walking. I decided to focus on school, to finish it and get in some good university. 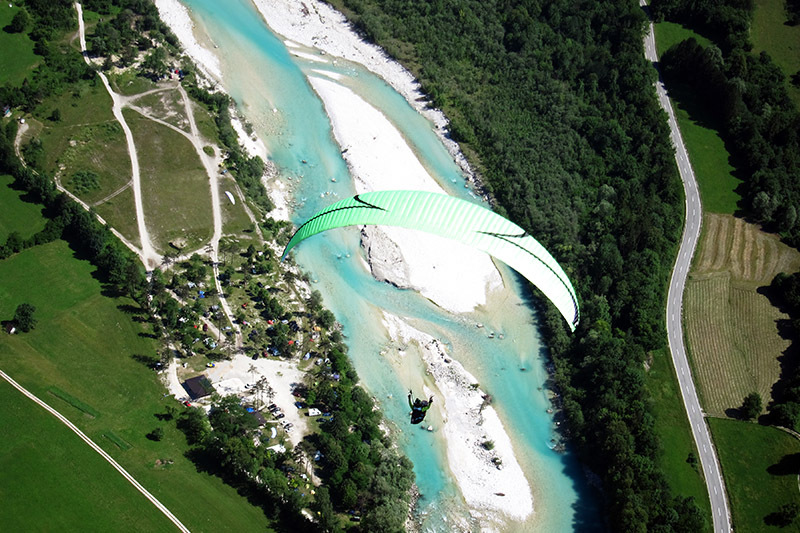 I saw paragliding for the first time when I went to ski in Austria at the age of 12. But I never thought to fly myself till I was 16. This is when my mum got back home with breaking news I could maybe try paragliding. There was a new neighbour who moved in to our house and advised to my mum it was much safer than riding motorbikes (which I was crazy about). Some months later there I was at the airfield to the north of Warsaw attached to a tandem paraglider, piloted by the current Polish Champion. The outcome? I was bored. I couldn’t imagine spending so much money on such a boring sport. Still I would go to the airfield with guys and play with the wing sometime. In September I decided to give it another try and did the introductory course. First solo flight made me fall in love with this sport. 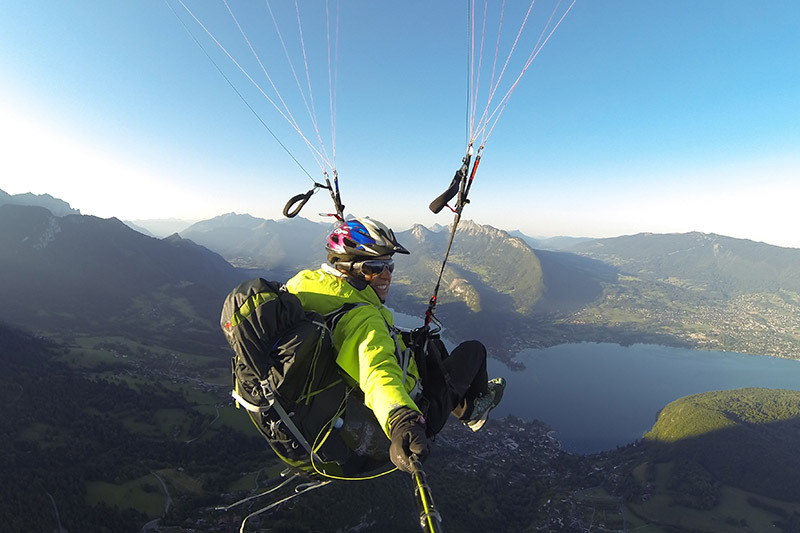 I just went totally crazy about paragliding and this passion lasts till now. From the first flight I knew I wanted it all. I wanted to learn, I wanted to become good, start competing, get in the Polish team and represent Poland at big international events. 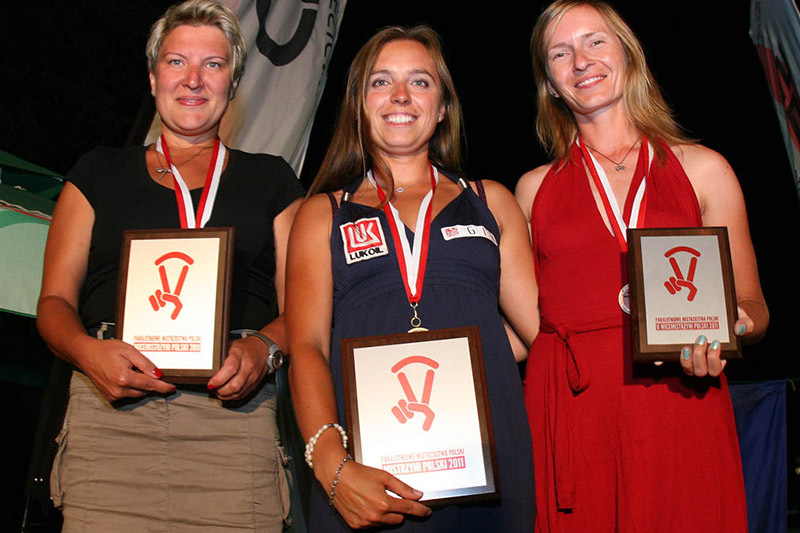 I was 17 and most of Polish competitors were over 30. I knew I had lots of time to learn and to make my childhood dream of becoming professional athlete come true. I made my plan and started training. I earned money by teaching skiing. Already next year I started to compete in XC Contest – it was a competition organized by Polish pilots. We did cross country, photographed places easy to find on the map, before start and after landing we would fill out papers with info and later send it all to a jury. 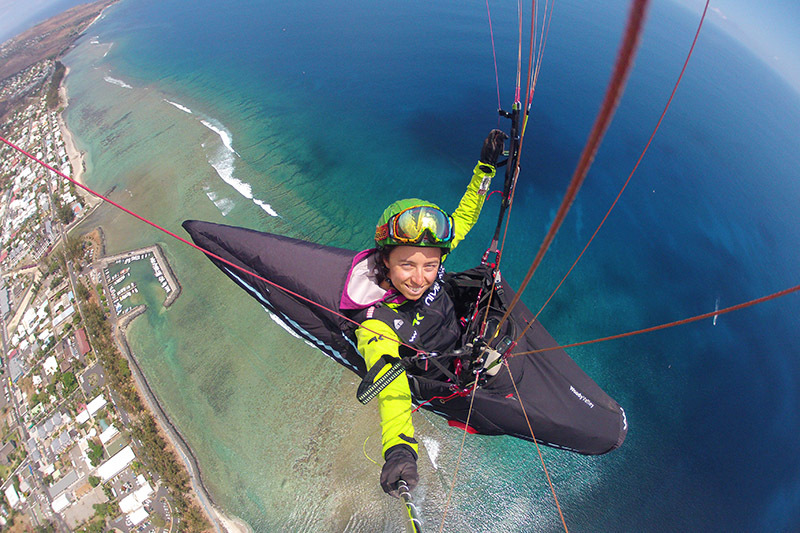 My flying group took me to my first competitions in the north of Poland – Puchar Pomorza. I enjoyed it so much that I went to another competition in Italy in September – Polish Cup Monte Grappa in Bassano. 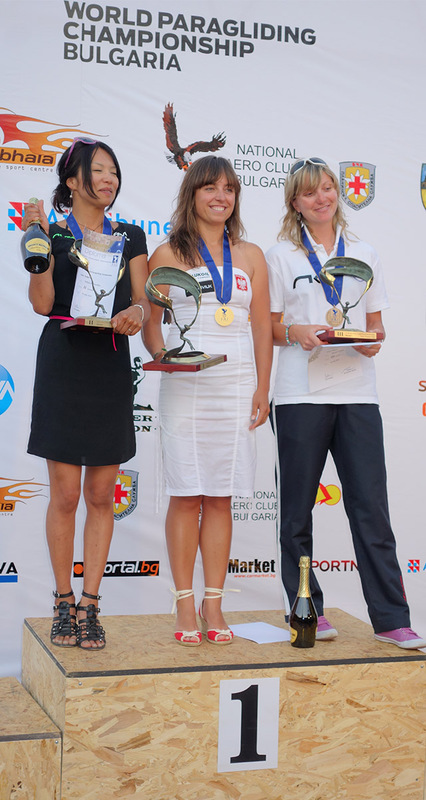 I was the only girl competing at that time and second in the history of Polish Paragliding. A year later I joined my first Polish Championship and first international competitions – Czech and Slovak Open. I knew I still had a lot to learn to be able to say "I’m competing", but there were no coaches and no schools with which I could progress, so going for competitions was the only way to progress. In Slovenia I met a coach from Poland and I quit competing to improve my XC skills. The three following years I spent training. It was only in 2003 that I tried to compete again. I joined the Loop Cup in Bassano – unofficial Polish Championships. I made my first podium place. I decided I’m ready to compete. All summer 2004 I spent in competitions. I did some good results that year and got totally addicted to racing. I found first sponsors and got into the Polish National Team for 2005. I got qualified for my first World Cup too. In 2007 I got my first financial sponsor. I could spread my wings and go start fulfilling my dreams full on. In 2006 I went to my first Europeans and in 2007 - Worlds . In 2007 I won my first World Cup. I was on a great way up, when in 2009 the down point arrived. Worlds in Valle del Bravo were just too much for me and I had to take a step back. I was thinking of stopping to compete and quitting flying at all. At the same time I lost my financial sponsor. I was forced to have a break. I worked hard in the Alps to save money for the summer. 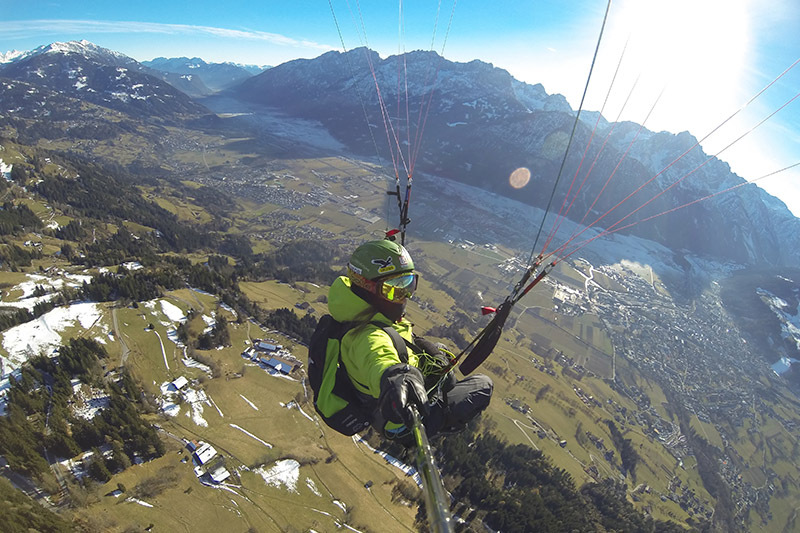 In spring I borrowed an easy glider to give the sport another try and went to Italy. 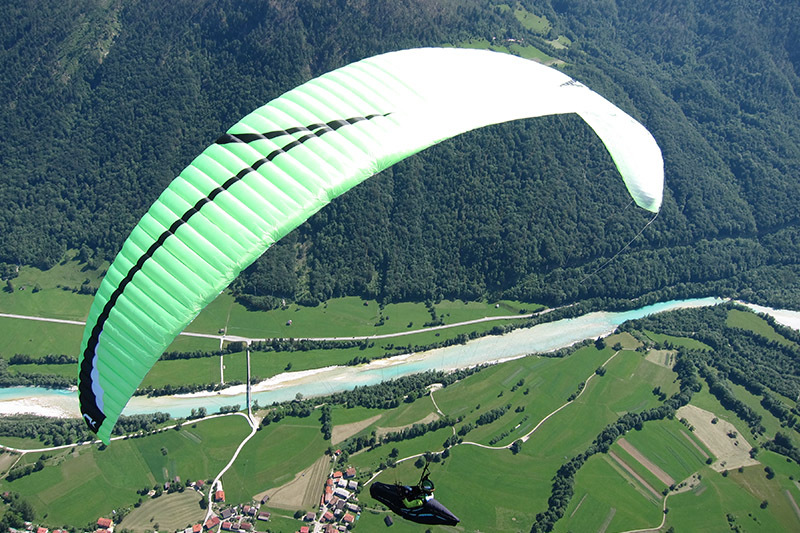 I realized I loved paragliding too much to quit and I liked my comp wing too much to fly an easy glider. On the way back I received confirmation from my current sponsor that they would support me. This is how my way back and my great cooperation with Lukoil started. From 2010 I started my way back to the World Cup and high level flying. It was one of most exciting and enriching experiences in my life. My hard work paid off. I started winning events again to finally reach for the World Champion title in 2013. A dream come true! But my adventure with flying doesn’t finish here. I love to learn and progress and there is still lot of space for it in my carrier. In my all career one of the key points were surrounding me people. If not they impact on me I wouldn't get to the place I am now. They support and friendship made me fly I fly today and is kipping me going. There are too many names to put it on paper and I don't want to not name someone. But there is one name I will it is Nikolaj Shorohov, a Russian pilot, a legend, who was the one to coach me seriously and became same important to me as my family. Whiteout him i would still be a kid trying to get somewhere not knowing how. I will never forget you! Now I'm my own rudder, sail and a ship and the wind are my sponsors. Whiteout them I would newer be able to get were I want and be where I am. Thank you.